Coughing and sneezing all the time? Asthma? Smell something in the bathroom or kitchen? Have you found a leak in the attic recently? 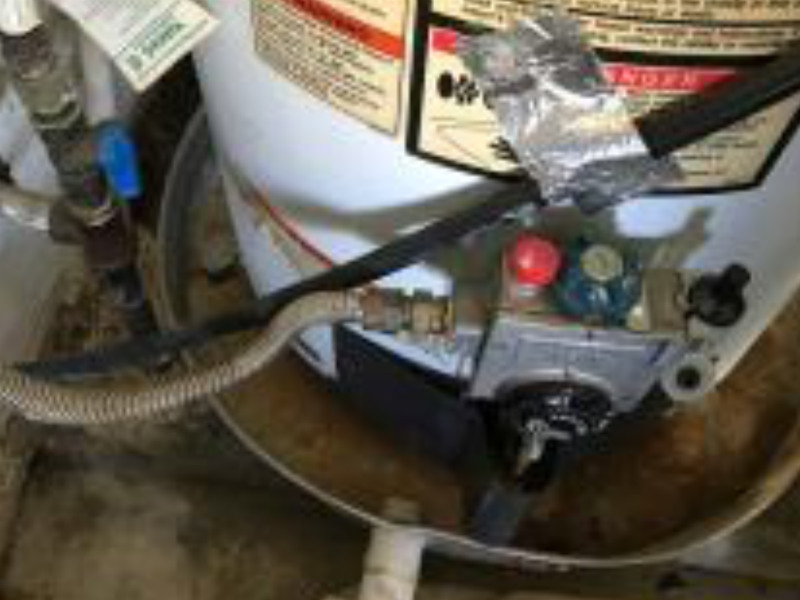 Experienced an appliance failure, water heater leak or air conditioner leak in the last few months? You might have mold and not even know it. Taking out all contaminated materials is paramount to proper mold removal. This may include drywall, carpet and padding, wood flooring, cabinets, curtains, furniture and other materials. If you’re not sure whether you have mold or not, have us come out to complete an inspection. We can detect moisture and mold in places that you can’t easily inspect. Mold treatment is part of our remediation process and involves using the proper commercial solutions. Our solutions are more effective than bleach, borax and other home remedies. 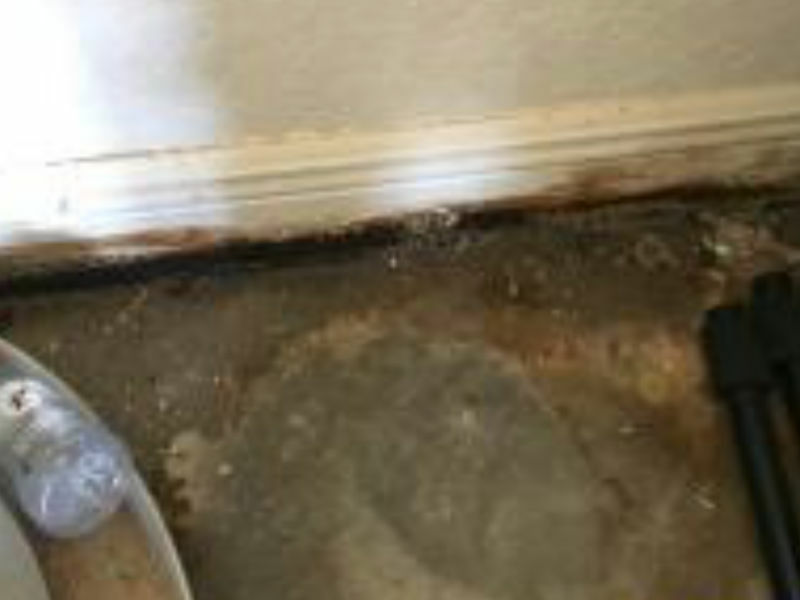 Before there is a mold problem, most homeowners face a water intrusion or leak. We are experienced at water damage removal as well. Call us before mold has a chance to grow. We have the equipment to remove large amounts of water from your home, office, warehouse or restaurant. Common problems include appliance failures, leaks, overflows and burst pipes. We can measure the moisture in your home or office. This includes the air and conventional building materials. If moisture levels are too high, we have the dehumidifiers, air movers and dryers to remove the moisture fast. Worried about Mold in Your Ft. Pierce House? Mold spores are always present in the air in our homes, but the environment is usually not right for overgrowth. Correct settings on the HVAC system and maintaining a dry, clean environment is usually prevention enough. But occasionally, we experience leaks, water line failures, storm damage or other issues that make us vulnerable to mold problems. 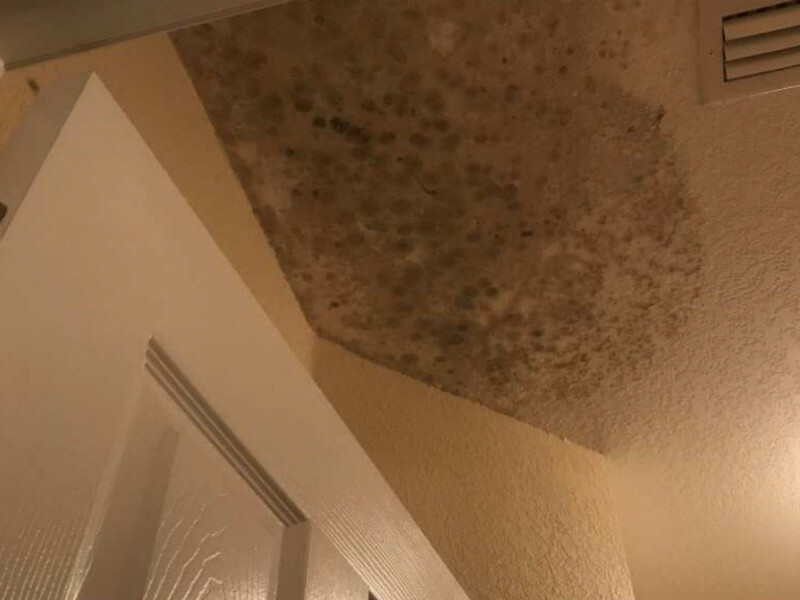 If you suspect a mold problem in your home or office, call treasure Coast Mold Pros today for help. There are a variety of different surfaces to be found in residential and commercial buildings, and our expert technicians offer the best mold removal services. Call us if you have wetness under your cabinets, wet carpets or drywall or a damp ceiling. Our system of drying is exceptionally effective, regardless of the type of structure, as we use a combination of air filtration, air movement, and dehumidifiers. There are several steps involved in the process of getting all the water safely and quickly out of your building. Dehumidification and evaporation can be used to dry out a building, although it is a lot easier to remove as much standing water as possible. If a structure has been affected by rising water, the best solution for fast structural drying is by using water extracting equipment. Because flood pumps are easy to maintain, light in weight and easy to operate, they are frequently used at this stage of the water removal process. Using a regular garden hose to discharge the water, they can extract around 10 gallons of water in a minute. Any remaining moisture after the water has been removed is handled by the use of an airflow machine, and it can achieve much faster evaporation rates when compared to a standard drying process. A process of dehumidification is then used to remove any remaining water and moisture. This technique has been shown to be efficient and fast when it comes to managing humidity levels in buildings and making sure they are as low as they should be. 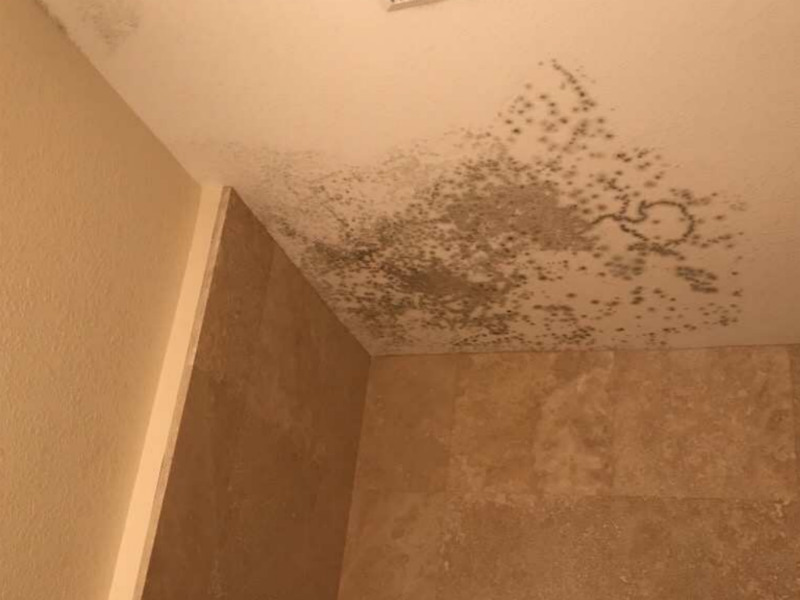 As mold can form when any extra moisture generated is soaked into different surfaces and material, dehumidification is an important part of the overall process. It helps to draw out any moisture in the air while the evaporation process is taking place. Our water removal experts are standing by at any time of the day or night to come to your home or business, as we understand that unfortunately, unforeseen damage can happen at any time. Your concern is to get the damage taken care of as quickly as possible and to prevent any further damage and our expert technicians will do everything possible to ensure that. To ensure your materials are dried effectively, we use the latest in technology and equipment. We can quickly and accurately evaluate any damage to your business or your home, and employ only the best quality and most sophisticated moisture detection equipment. A drying time of three days is average for most of the projects we work on. Our technicians will visit your home or business at least once daily to monitor humidity and ensure no further issues, once the drying equipment has been put in place. Using our specialized equipment, we can show the building’s owner if it falls below the IICRC dry standards, and until we can verify that the dry standard has been met, we keep our equipment in the building. Properly drying out materials that have been affected by water takes an expert team of trained technicians, and we see drying as a science, one that is important to get right. Please contact us to find out more about our effective drying and mold removal services and process, if your building has suffered water damage. We service the following communities in Ft Pierce: Tradition, Queens Cove, Cana, Indian River State College area, Lakewood Park, and Glidden Park, Ocean Drive and Orange Ave areas. If you don’t see your area, give us a call. We serve the Fort Pierce community with a wide range of mold-related services including inspection, removal, treatment and abatement. When your property is wet or flooded, we can get your cleaned out and dry fast. We have the crews and equipment to handle any size job. Fort Pierce is also known as the Sunrise City. It has a couple miles of shore line and an almost tropical climate. (In fact, the tropical climate creates the perfect conditions for mold growth is you leave home and turn off the climate control entirely.) It gets its name from the Ft. Pierce Army post which was established in 1838 during the Second Seminole War. The city marina was severely damaged by two hurricanes in 2004, Hurricane Frances and Jeanne. Barrier islands were created to protect the marina from future storms. It is the home to the Indian River State College and Fort Pierce Central High School.